I've been quite over the last week, mainly due to other commitments. The good news is that I no longer have to commute for my job, as I have found one closer to home, which means I have more time in the evenings. 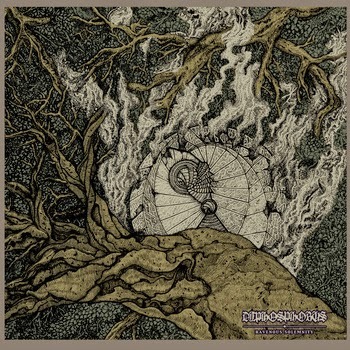 So without wasting any more time, I've decided to take a look at Dephosphorus's new double LP Ravenous Solemnity. I haven't featured Dephosphorus here since I reviewed their split with Wake in 2012. I haven't even got round to reviewing their previous LP Night Sky Transform yet! I'll need to remedy that soon. Anyway, Ravenous Solemnity was released in February by 7 Degrees Records and Canadian label Handshake Inc. Those of you who are familiar with his Greek grind-trio will know just how heavy they can be. For a trio, Dephosphorus are crushing. Opening with Reversed Into Contraction, they mix grind with hints of straight-up metal craziness. There are moments of angular sludge-riffage and while the tone is bass-heavy, they still achieve menacing swathes of melody. It seems that they’ve definitely taken rock to heart more with Ravenous Solemnity, as is evident during the opening bars of There Is A Colour. The screams of Panos Agoros are tortured with frustration and pain. The angular influence within Dephosphorus’s grind during Ancient Drone mixes with the ferocity of the drumming, and drags them away from their staple sound. Dark on Dark however, is as crazy as off-kilter as they get. It’s a shorter song and therefore benefits from a big hit in urgency, which is why they fit warp-speed drumming into the mix, with less of the rock n roll frills. In case you thought it wasn’t possible for them to hit a higher, adrenaline fuelled level, they prove you wrong with Astrocyte Portal. As a song, it wipes you out and it’s relief mid-point when they settle into a bit of groove. The surprise chanting/singing only adds to the uber-mental feel of the song. Dephosphorus seem to head in so many different directions during Ravenous Solemnity, it can be hard sometimes to pin them down, but they’re nothing short of exhilarating. The screaming solo during Storming The Sloan Wall proves that point on it’s own. I also really like subtle metallic guitar tones. Their musical prowess is heralded in with False Vacuum, which has a grand backdrop thanks to some excellent guitar work and a more laid back tempo, even if it’s temporary. There are hints of early Mastodon in the song, which you probably wouldn’t expect. It works well. Their longest and most expansive song comes in the form the title track, which is still only just over four-minutes in length. It further expands their arsenal of riffs. It’s a song of two halves for sure, with the second half peddling back into frenzied grind territory after the initial complexity of the first half. Musically, so far this is a belter. That melody I talked about earlier on is again more evident during Toward The Cold, Mysterious Infinity. It’s these intro sections that propel this album to greater heights for me, instead of just being another blurring, feedback ridden noise record. Dephosphorus have made something varied and extremely listenable. A lot of that praise should go to John Votsis (Drums) and Thanos Mantas (Guitar, Bass), as without their instrumentation and the album structure as a whole, the overall feel would not have been possible. Hammer of Logic and Fountain of Daggers hark back to the chaos of earlier releases, but with the band’s more controlled aggression, don’t end up off the scale. The true dissonance within Dephosphorus’s sound is heard in Buried Alive In Obsolescence, as things take a blackened-turn. The vocals are more akin to black metal, as is the overall melody and speed of the song. The cymbals crashes that appear higher in the mix, also bring forth the metallic edge too. From then on, it’s just a chaotic ride to the end of Ravenous Solemnity thanks to the duo of Glorification Of The Anti-Life Equation and Vicious Infinite Regress. The breadth of power that exposes itself during these two songs, seals this double LP as a huge success in my eyes. It might be grim and evil to the uninitiated but it reveals itself as a thing of beauty if you give it chance. It might take multiple listens to unearth its subtle layers, but then the best albums don’t reveal their cards too early do they! You can purchase it both digitally and physically from the above bandcamp page. You can also purchase it from 7 Degrees Records at http://7degrees-records.de/ and from Handshake Inc at http://shop.handshakeinc.com/Vinyl. Recently (this morning), I was browsing the latest editions on Metal Archives and was thinking about which bands I'd work with if I ran a label. This isn't a new thing, as not only do I constantly like to discover new bands but also wish I had the money (replace that with courage) to start my own label and help bands get their music out there. This blog post, which I hope will become a permanent thing, aims to shed light on bands that I've found on the Internet that I think are really cool and should be heard. Before I go any further, I'd also like to apologise for the lack of Umlauts below. Blogger doesn't seem to allow me to add them into the band names where appropriate. This band epitomises what I was talking about above. They're a stoner/metal duo from Aarhus, Denmark. 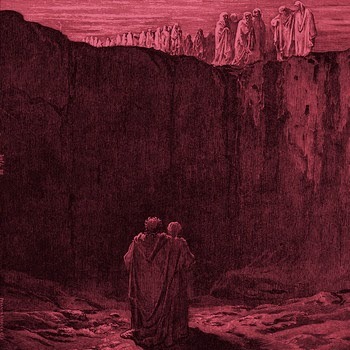 They have so far released a two-song demo in 2011 and then they followed it up with a 7" called Judas in late. 2013. They didn't hang around and wait for someone to release their music, they decided to take full control of the EP release, including the record pressing and the expense that comes with it. They've released the EP on their bandcamp page where it's available for streaming, as a free download. You can also pick up the 7" to help the band out. 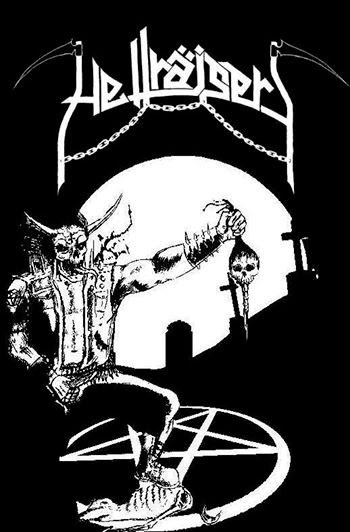 The next band I came across was Spanish blackened-speed metal band Hellraisers. These guys are pretty new, having only just released their first tape demo "Rot In Pain" in the last 24 hours!. 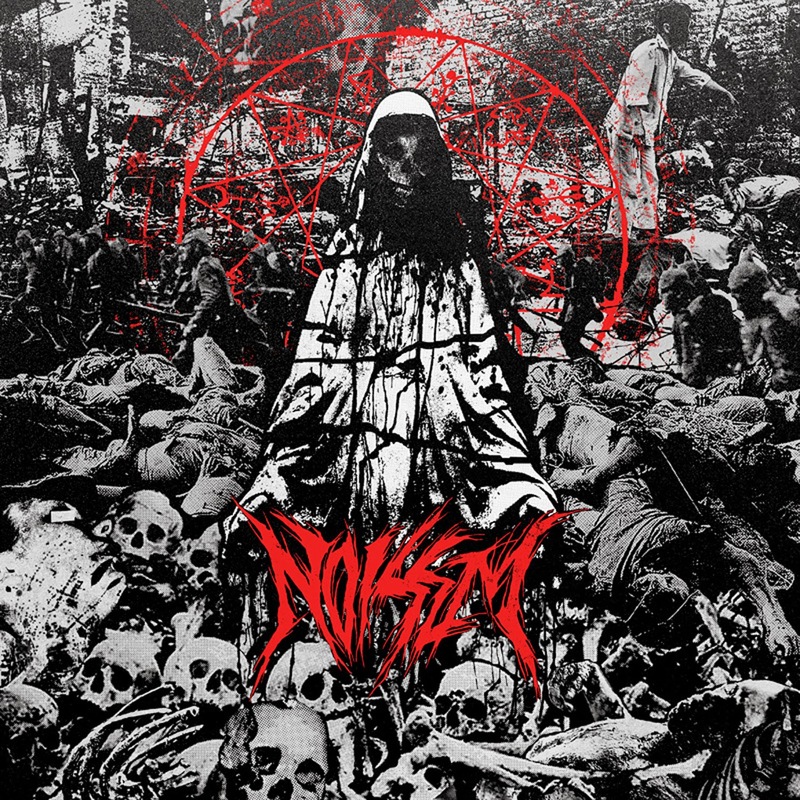 They're influenced by old-school bands like Motorhead and Hellhammer and their tape even features a Damnation cover song. Witch Ripper, Hellstorm and Sadistic Vomitor (ace names) are doing it right and their crush-all-posers mentality proves that they're serious about what they do. You can also purchase a tape directly from the band by dropping them an e-mail. 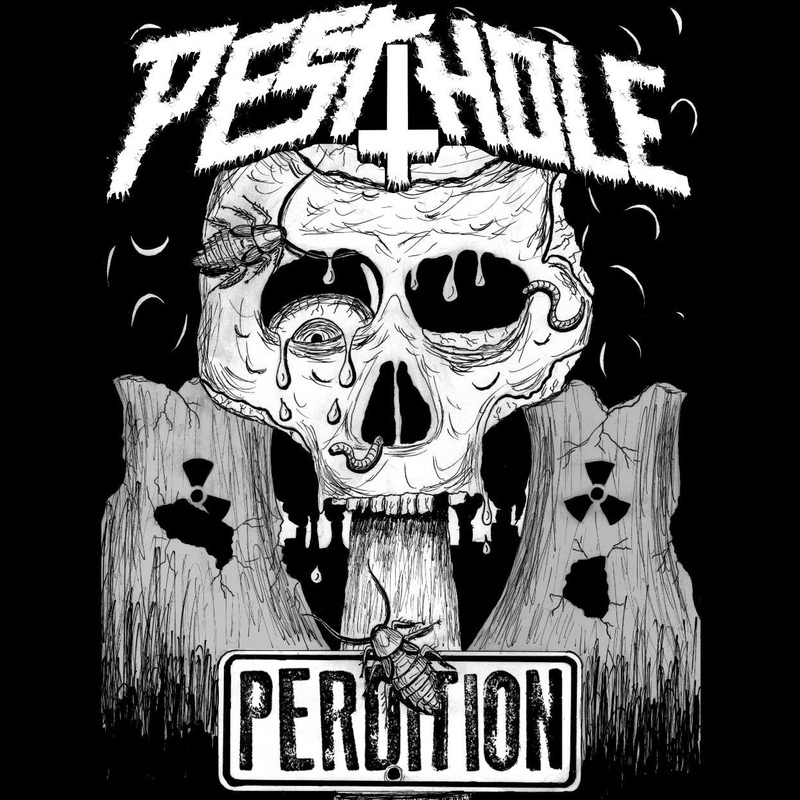 Pest Hole are a Thrash/Crust band from Brandenburg, Germany. 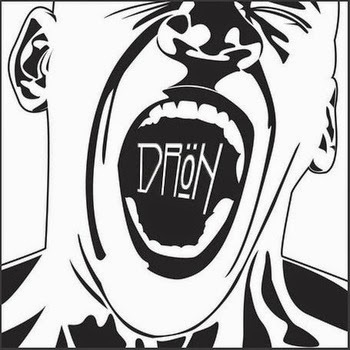 They formed it 2013 and have recently released an five-track LP called Perdition through German label Angry Voice Records, which was mixed by Jocke from Wolfbrigade! I couldn't write a list without adding a black metal band to it. Old Graves is a solo-project from British Columbia, Canada. 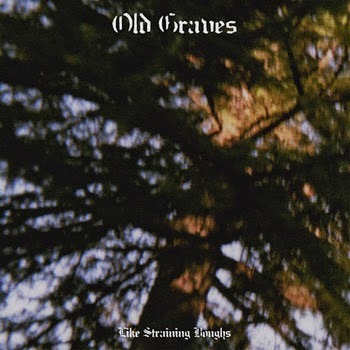 Old Graves debut EP Like Straining Boughs was only released on the 15th of April and is absolutely stellar. Mainly instrumental, but with distant vocals that sit deep within the mix. It's really good stuff. I'm in a punk mood tonight. It might have something to do with the sunny weather and the impending four-day Easter weekend. 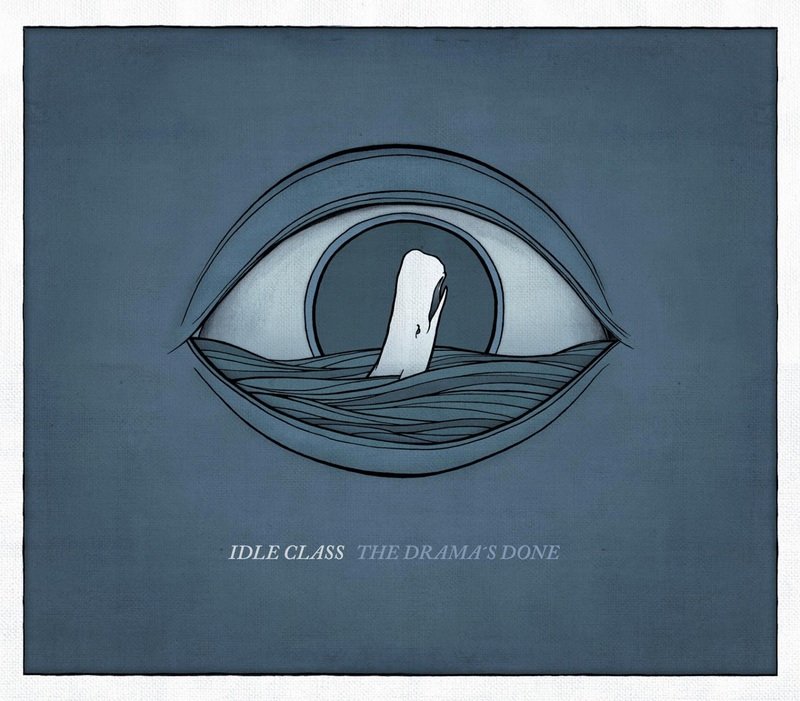 I'm writing tonight about German punk band Idle Class and their late 2013 album, The Drama's Done. I've always really liked European punk, though I'm not as clued up on it as I should be. Idle Class sight Polar Bear Club and Strike Anywhere amongst their favourite bands. I reviewed the recent record from their Austrian neighbours Astpai late last year and loved it, so Idle Class should be no different. The Drama's Done is the bands debut album and follows their 2012 EP Stumbling Home. The album has been released digitally, on CD and on LP (the LP was released via Blackstarfoundation). Idle Class follow the gruff punk blueprint, with vocals that mix shouted vocals with gruff-melodic singing. It’s all held together by the drums on opener Essence Of Every Fight, which are a common theme across punk especially when they punch out quick rhythms as good as this. The guitars are a bit understated behind the singing, but their melodies are uncomplicated and played well. I’m a sucker for gang vocals too! After the raucous opener, Chances Are For Poets is a shorter song, with more a majestic atmosphere and a killer sing/shout-along ending. Idle Class transport me back to the early days of my exploration into punk and heavy music, when I used to listen to band like The Offspring and NOFX (we had to start somewhere!). Home? Prove It! is like a calling card. It’s almost familiar, even on the first listen, such is the ease at which Idle Class deliver it. Han Shot First features an unexpected drum beat at the start, which might throw you off slightly. It kind of sounds like the intro to a Korn song. Don’t worry though, they haven’t gone all nu-metal or anything. Han Shot First is still a raging melodic punk song. I think my favourite track on the album is Pass On the Bottle. The multiple-vocalist approach is used throughout The Drama’s Done, but here it just seems to work so well and the dual guitar melodies that sporadically appear during Defiant Kids are equally great. This is what Slam Dunk fest in Leeds used to be like, before the proliferation of fashion-punk and supposed “emo” took over. Last Night I Got Drunk With Mark Twain seems to have a sound all of it’s own, thanks to the guitar tone that’s used during the chorus. It sounds like they’ve embraced ska-punk. The songs on The Drama’s Done are short and punchy, but feature enough variation to stop you from pressing skip (which you shouldn’t be doing anyway!). Bridges Blues is a summer party sing-along anthem. I’m also pretty surprised that Idle Class steer clear of using their native accents too much, as they do sound Americanised, which I guess is a symptom of listening to their favourite bands. They slow things down with punk balled Angus One, which leads you into album closer Sometimes You Eat The Bear. What an end it is as well. It has the same impact that the album opener had, which is good because it helps Idle Class end with strong momentum. This album has succeeded in satisfying my craving for punk and it’s definitely an album that I’ll be revisiting a lot. At the moment, US punk has a lot to answer for so thank god for our European neighbours. I hope that Idle Class come across to the UK soon, as i’d love to see them. You can buy The Drama's Done digitally as well on CD and vinyl from the above page too. The thought occurred to me the other day after reading a Facebook post about 2014 music. I haven't actually listened to or reviewed much of it lately. I'm remedying that with something very new, from a pretty unknown band. 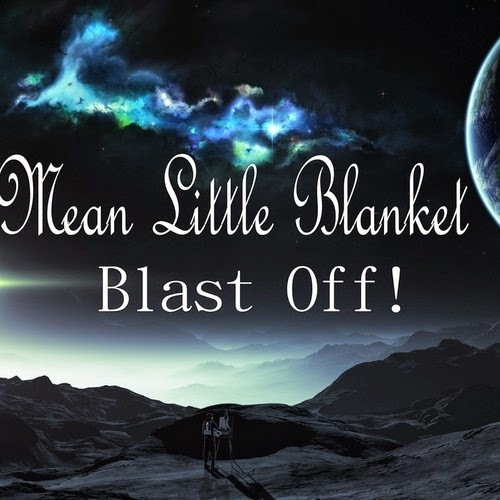 Mean Little Blanket are a three piece from the States and Blast Off! is their debut album. They describe themselves as math and jazz-laden hard rock band and take influence from bands like Between The Buried And Me, Coheed And Cambria and Incubus. Not a bad selection and a big hint as to what you're gonna get musically. In terms of technicality, Mean Little Blanket were pretty accurate with their influences. Straight from the off, Don’t Be Scared It’s Only A Crescendo is full of off-kilter time signatures and poly-rhythms. It’s features very assured musicianship especially in the more introspective, jazzy sections and the vocals of Corey Dozier are clean and compliment the music well. It’s also an ambitious opener at just over nine minutes in length, but they can justify it solely by the quality of the mid-section guitar solo. Mean Little Blanket abandon the uber-mathy on Everybody’s Good, but writing a really danceable rock song that stays that brings to mind the Chilli Peppers, with the exception a little prig flirtation in the middle. The breadth of their music creativity continues at pace with Bermuda, where they tackle blues/country guitar with added rock swagger. There is lot going on Blast off! so you won’t be in for an easy ride, but then if you’re used to progressive rock and metal, you’ll be aptly prepared to be pulled and pushed in opposing directions on a dime. Mean Little Blanket seem to have stumbled upon something great here. They have the kind of sound that will appeal to both heavy music fans and traditional rock fans. Wide Eyed has the intelligence to be both easy to listen to and technical, which is testament to the band’s writing. It’a helped a lot by a more focused song structure and really good production. They go from Wide Eyed to Inner Mission, which is a mammoth of a song at over twelve minutes. You know what to expect here. That’s right, pretty of semi-improv jazz and experimental sensibilities. This is where each member’s skill really comes into it’s own. For a moment, you forget that you’re listening to a progressive rock album and are transported to a hip jazz bar somewhere. It’s bloody good. Following that, Mean Little Blanket head back in an earlier direction with Your Monster, My Ancestor. It’s a briefer song all round but still features plenty of math-elements and some great riffs. They follow immediately with Samhain and the first hint of their obvious fondness of Coheed And Cambria (which I also share). Sweet 16 is a blinder. Okay it’s short by their terms, but it has the same danceable swagger that Everybody’s Good did earlier and it pokes fun at popular prom queens. What’s not to like. With penultimate song Power Wash and closer Carthage, Mean Little Blanket prove they’ve well and truly settled into Blast Off! and as musicians in general. This album ain’t just for rock lovers/ it’s for music lovers and I’m converted. Hopefully, more people will check them out too. I've decided that after every review I write, I'm also going to write a 7" review. I feel there's so many that I've been missing out on. 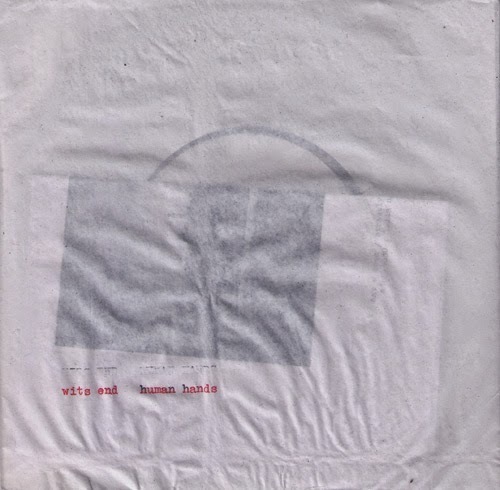 Take this one for instance, the 2013 split between Norwegian emo band Wits End and Birmingham's own Human Hands. It featured two tracks and was a collaborative release between Eat A Book Records, strictly no capital letters, Adagio 830, Time As A Colour and Lila Himmel (RIP). Seeing Through by Wits End is spacious and melodic. It feels like they’re playing on a cliff overlooking a huge lake or on top of a mountain, such is the grandeur of their indie-infused screamo. The guitars lay a light melodic scent for the vocals to follow, while the drums are played with thought and care, so as not to overpower the rest of the music. Human Hands are a similar prospect with Matchsticks, but they lean more toward the sad end of the spectrum. The clean guitar that helps the song build and the vocals that sit behind them in the mix, present their own uniqueness. It’s dreamy and provides a calming opposite to Wits End and their more frantic screamo. Here’s two bands that I haven’t explored enough yet, but will definitely been doing. I'm once again raiding my (digital) review pile for a new band, that's never been featured but that hopefully people will be into. Russian band Stalwart have been playing death/thrash since 1999 and and have released five albums, this being the latest. They play regularly across Russia and the Ukraine, even supporting Behemoth in St Petersburg, which must have been pretty epic. 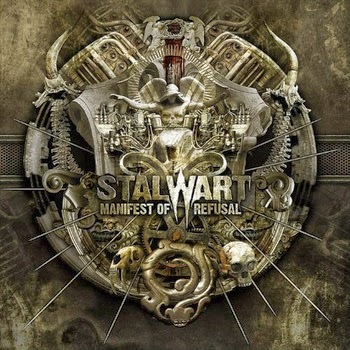 Manifest of Refusal was released in 2012 via Canadian metal label PRC Music. Russia’s metal scene, just like the rest of Eastern Europe is booming at the moment and there seems to be a lot of death metal coming to the surface. Stalwart take influence from a lot of their European cousins, but also feature a slightly Tiamat inspired gothic side, with low-whispered vocals and subtle keyboard melodies during opener The Karma Circle. When they let rip, the drumming is very precise and the guitars are full of technicality. Their sound is very futuristic at times, reminiscent of bands like Zonaria and Norther. That being said, Downgrade Evolution has plenty of thrash grooves and a screaming solo, which fits the song like a glove. Stalwart hit a new level of brutal during Rise of The Ninth Wave. It’s bloody fun though and that lead picking is sublime. I have know idea how the double bass can stay at that pace for so long either! Their songs are very expansive as well. Take Last Dawn of The Era for example; it’s six and a half minutes long and it’s here where you catch a glimpse of the band’s jazz elements. I guess with technical death metal, that’s a given though. Here it outweighs the thrash and even though it’s so fast for so long, it’s varied and keeps you hooked though it’s entirety. After the sprawling mass of Last Dawn of The Era, Corrosion features semi-clean singing in some sections and takes on a slightly more modern-metal stance. It brings to mind Soilwork at times. There are so many parts to Corrosion, it’s easy to forget that you are listening to the same song sometimes. As Manifest of Refusal speeds along, it gets more and more catchy. The more urgent and shorter Idols of The Time is probably my favourite song on the album. The melodic vocals comes across as a cross between Max Cavalera/Rob Flynn in their delivery and the rhythm section comes over all progressive too, which is no bad thing. The band expertly switches times signatures as the song fades. Idols of The Time flows effortlessly into It’s Just My Choice and Stalwart just keep getting better. The acoustic sections during the song, when the scream die down are great and are sensitive to the quitter vocals. I really can’t believe this band isn’t more widely known, as their song-craft and musicianship is top notch. Mind you it should be if you’ve released five albums! Their death-laden thrash hits back during the title track and ravages you with intense buzz saw riffage and super-human kick drumming. Ending it all with Renaissance Through Devastation, Stalwart end on a real high and leave with pretty obtrusive whiplash. Invest some time in these guys and they will repay you in many riffs and such speed. Awesome, life-affirming extremity. The second review in my Eastern European trilogy features Ukrainian solo-black metal project Deviator and the band's latest compilation To Forgotten Path - Triumph of The Will. This is a very new release, having only seen the light of day in January. It gathers up re-recordings, including four from the 2009 full-length Mighty Black Inner Flame and one from Voice of The Native Blood. The final three songs featured on Fehu-Fohat-Fire. 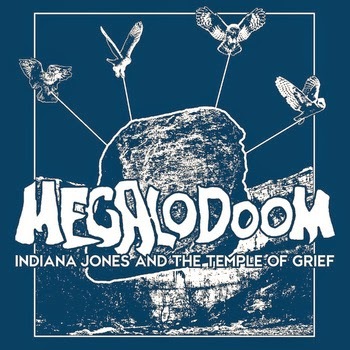 It feels a bit strange to be reviewing a release solely made up of re-recorded material or music that has appeared on a previous album, especially with so many new releases coming out all of the time, but I guess it's an artists perogative in terms of what they release and Deviator has featured on This Noise Is Ours a few times in the past. To Forgotten Path… starts with four songs from 2009’s Mighty Black Inner Flame and like that album, the opener is instrumental song Forgotten Hope. Starting with an instrumental song is always a bold move for a band, but it actually sets off the compilation well with a rousing build-up. It’s also instantly obvious that the re-recording process has worked in Deviator’s favour, as the sound is bigger and clearer. Thankfully though Deviator’s rawness hasn’t fully disappeared and with Might Black Inner Flame, it comes through loud and clear as the bands black metal takes hold. Whereas Astarium yesterday was textured and more mournful at times, Deviator projects an icier image. That coldness follows on into Undying Darkness. The majority of this song is instrumental, but it does contain a few blasts of Lord Hastner’s black metal bark. The final re-worked track from Mighty Black Inner Flame, Raw Symphony of Sorry, benefits from increased volume thanks to the production and mastering job. 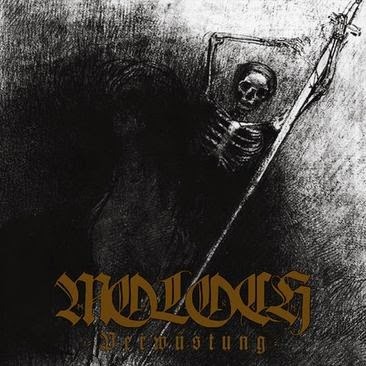 It makes it sound more threatening and it’s the only other instrumental song on the compilation, which means the second half of the album is hate-fuelled black metal, right to the very end. Thy Blood In My Veins is the final re-recorded track and featured on the 2010 full length Voice of The Native Blood. The vocals here are very different to that of previous songs, with them being almost spoken at time, with a strange effect running through the mic. The final three songs all appeared on Fehu-Fohat-Fire that was released in 2012. Lord Hastner uses more of his native tongue on Way of Warrior-Hymn To Immortals and the song does show a progression in his song-writing skills following previous releases. Deviator’s black metal does sound more authentic with the Ukrainian vocals to me and the musicianship during Eternity of Blood makes it the standout track on the compilation, with passages that stray close to post-black metal and even doom at times. Deviator ends on a very atmospheric note with Burning Bridges Become Ashes. With the exception of the album’s opener Forgotten Path, all of the songs here stretch to over five minutes, with some even reaching past the seven minute mark, so there is plenty for fans to get their teeth into and as mentioned further up, the re-recording has helped brings out some subtleties in the earlier songs, but the compilation does feel like a stop-gap release and I for one am hoping that Deviator brings something more original out in the near future. I've decided to focus my next three reviews on three bands that have been featured multiple times on these pages. Three bands who play ambient black metal and are located in Eastern Europe. The first of the three is Russian solo-project Astarium. Having already featured Astarium's Ostracism of Anachoret tape as well as the bands three-way split with Gmork and In Tenebriz, it's now the turn of the 2012 full-length Wyrm of Melancholy. Astarium has been releasing music for eight years now and Wyrm of Melancholy is the band's third full length. It was released by Metallic Media. I always think that musicians who release music as solo-projects must be very skilled, because not only do they write and play all parts of the music they create, but they also record it all and usually master it to some extent. Astarium has always come across as a very genuine band. With the calm opener Unrelieved Solitude, with it’s sensitive guitar riffs, ambience and whispered vocals you can tell that Astarium cares about the listener. The vocals are in English, which isn’t always the case with bands of this ilk that call Eastern Europe home. The song is the perfect minimal introduction to Wyrm of Melancholy. Astarium experiments with different instrumental sounds during Kingdom of White Madness. The organ, while electronic, still adds some haunting melody that sits below the blackened vocals. It is obvious that this is a solo-project, but the volume and the quality of the music does not suffer at all. There are hints of cosmic influences within the too. The blips and sounds that greet you at the of Voices From The Night Sky sound like extraterrestrials trying to communicate with you through your speakers. The clean guitar and keys that create the initial melody are not reminiscent of the black ambient blueprint that the band follows, but they bring this instrumental song to life. Farewell (Last Winter) is very dramatic, with orchestral layers and impressive lead work. The gargled black metal growls of SiN give the song a sinister edge. Considering the songs on Wyrm of Melancholy are longer in their lengths and mid-paced, they don’t outstay their welcome or get boring. SiN’s appreciation of orchestral arrangements can be heard more clearly during Revival of Cursed Spirit. The song’s verses flow well and the gentle piano provides yet another musical layer to Astarium’s arsenal. The running water of Velleity About Aeonian Rain provides the perfect backdrop for this shortened instrumental piece. The mood swings back toward darkness with Grief of The Fallen, with the re-introduction of SiN’s growls. The penultimate song When Humanity Will Die… is a slow burner. At over seven minutes long, it takes it’s time. The one thing that has struck me about this album is how minimalistic it sounds and how the use of distortion and guitar is not overdone. It’s left to Permafrost to end proceedings with what sounds like a train during the ambient passages of this instrumental song. A lot of care and work was put into this album and while it may not be the kind records that gives you instant gratification, it is still a good listen. It requires your attention throughout and rewards you with some very nice musicianship and overall structure. This might surprise you. You can visit Astarium's website here - http://www.astarium.ru/eng/index.html. 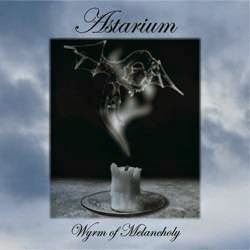 You can download certain songs and purchase Astarium's music from the site.